Just a one-tank trip from many Midwest cities; make Galena, Illinois your destination this season. Here, not only can you visit historic sites and savor locally-grown award-winning wines, brews and spirits, but you can shop for one-of-a-kind gifts and escape to Mother Nature whenever you need the break. Galena is home to some incredible golf courses, a premiere ski resort, plenty of parks and trails, and of course the beautiful Galena River. Galena is the perfect place to relax, unwind, connect with those who are special in your life. Our rolling hills, scenic roads, and historic charm will revitalize your spirit. Galena is a getaway town inspired by nature, and ushers you back to a simpler time. You’ll create cherished memories spending time together relaxing and unwinding in historic Galena. Explore the amazing dining options in Galena and Jo Daviess County during your getaway. Take pleasure in the elegant cuisines of the finest Jo Daviess County and Galena dining options. Our dining provides great selections including friendly bistros, supreme chop and steak houses, an assortment of cafés, specialty coffeehouses and diners. Indulge in a variety of fares including American, Greek, Mexican, German, French, and Italian. Rich interior handcrafted in Ireland. Hand-cut steaks/chops, salmon, shepherd’s pie, traditional fish ‘n’ chips. Outstanding wine selection; great draft beers. Brewery/restaurant, beer tastings, soups, sandwiches, wraps; brewery tours, gift shop, live music. Open 4 p.m., Monday – Thursday, 11 a.m., weekends. Featuring homemade Chicago-style thin, pan, stuffed pizza in a friendly, sports pub. Plasma TVs. Karaoke. Live entertainment nightly. Outdoor patio. Serving your favorite cocktails, snacks, sandwiches, salads, dinners. Hand-cut steaks to fresh seafood. Enjoy our dining room, tavern, outside patio. Great chefs working with local producers to provide the flavor of Galena’s culinary past, present and future. Local flavor cuisine. Otto’s Place is the off-Main Street alternative for locals & tourists seeking a quiet, peaceful retreat with exceptional, unique food. Perched high atop a wooded palisade overlooking the Mississippi, the restaurant features a 1,400-square-foot outdoor dining deck and breathtaking views. Great food, GREAT service, reasonable prices and a fun atmosphere. Experience Galena’s most exciting Japanese restaurant and sushi bar. The ultimate oriental dining experience. Full bar, open daily except Tuesday. Start your day with locally roasted, freshly ground coffee and espresso, panini for lunch. Free WiFi and local art. Local coffee bar located on Galena’s historic Main Street. French and German classics bring flavor and flair to the palate in a European-style bistro. Lunch, dinner and Sunday brunch. Pizza, pasta, sandwiches, homemade bread, dough and sauces. Daily specials. Free delivery in town. Great Italian food. Chicago-style pizza; thin crust or double-decker. Very cozy and very clean. Authentic Mexican cuisine, in business since 1978. Breakfast and lunch served in summer months. Closed Mondays. Catering available. A real Mexican restaurant. More than 100 authentic entrees; gigantic selection of Mexican/American beers. Lunch/dinner specials. Mega-Margaritas. Music Friday/Saturday. Prime steaks, fresh scallops and homemade lasagna paired with a ‘Wine Spectator’ award-winning wine menu. Outstanding service and atmosphere. Masterful menu by renowned Chef Dan Kretschmer. Attentive service in a charming, historic church. Exquisitely fresh, simply prepared food. Galena’s oldest Greek steakhouse since 1935. Hand-cut aged Angus beef. Specialties include prime rib, seafood, ribs, chops, saganaki (OPAAA)! Best little restaurant in Galena. Consistently receiving outstanding reviews for food, service & dining experience. Featuring AcroAma Blends organic seasonings. 1850’s site: general store/railway station, silo, woolen mill on river. Food, 90-plus beers, live music year-round. Summer barn dances. Featuring live music Wednesday – Sunday all year! Full bar with more than 60 different beers, plus wine, martinis and cocktails. Wine/martini lounge, craft beers. Live music Friday, Saturday, and Quiz Show Sunday. Bloody Mary bar. Gourmet apps until last call. Intimate wine and martini bar and fine wine shop. Unique selection of wines, spirits, and gift items. Saturday wine tastings. Jo Daviess County presents the finest local award-winning wineries and vineyards in Illinois. Indulge in one of Galena’s wineries, and enjoy a day of learning about the talent of wine making and specialty wine tastings. Stop in for a tasting and a tour one of Jo Daviess County’s award-winning wineries. Stay a while with a bottle of your favorite wine, cheese and crackers. We are a boutique winery located in a scenic valley in Hanover. We specialize in dry-red-bold wines from our vineyard. The Lawlor family, with more than 30 years of winemaking experience, proudly offers tours and tastings of 40 award-winning wines. Blaum Bros., #1 rated attraction & activity by TripAdvisor.com, is a family-owned/operated craft distillery producing premium whiskey, vodka and gin. Brewery/restaurant, beer tastings, wraps, soups, sandwiches, brewery tours, live music. Open 4 p.m., Monday – Thursday, 11 a.m., Friday – Sunday. Sample award-winning, estate-grown wine while enjoying the breathtaking Jo Daviess County hills. Open daily, 11 a.m.-5 p.m., year round. Experience our spectacular view, taste wines from our locally grown grapes, relax on the deck, and enjoy some wine. While vacationing in Galena, making time to enjoy outdoor recreation is key. Whether it be a hot air balloon ride or hiking amongst the county’s most beautiful scenic routes, the outdoor recreation is what makes this town what it is. Nothing compares to the true beauty of the Midwest, so make sure to capture its essence while vacationing in Jo Daviess County. The hills and trails of Galena/Jo Daviess County are known to be a hiker’s and biker’s delight. With its breathtaking scenic views, let yourself explore the outdoors while getting physically fit. Whether you’re looking for an easy walk or a true physical challenge, hiking and biking in Galena/Jo Daviess County is perfect for you. When you find the everyday vacation somewhat blasé, spice it up with a ballooning adventure in Galena/Jo Daviess County. Nothing is more genuine and beautiful than seeing that golden Galena sunset. Whether you want to experience this historic town in the air with a group or with someone special, ballooning will put the extra excitement in your vacation. Outdoor activities are at their finest in Galena/Jo Daviess County, and nothing connects you to nature more than boating and fishing. With this scenic town located right near the Mississippi River, you’re sure to enjoy the finest outdoor experience. Get in touch with nature while fishing in Jo Daviess County. Enjoy the great outdoors while camping in Galena/Jo Daviess County. Whether you’re looking for convenient campsites with a few extra amenities or a rustic site located in the quiet woods, we have exactly what you’ve been looking for in a vacation. Northwest Illinois has never looked more beautiful. It’s your vacation, so why not make the most of it? If you’re not one of those to lie around all day while on vacation, get up and do something exciting! Jo Daviess County has a plethora of outdoor equipment for you to buy or rent for your time in Galena. Endless fun for the whole family starts here with outdoor amusements in Galena and Jo Daviess County. With its arcade games, winter sledding and the finest miniature golf, you’re guaranteed a spectacular vacation in Jo Daviess County. Affordable and exciting, these amusement venues are everything a vacation should be! When looking for the best in local produce and specialties, visit the Galena/Jo Daviess County farms and gardens. This rich agricultural area provides the finest in farmers markets, farms, gardens and nurseries. Take a hands-on tour through our local farms, pick your own blueberries or pick up fresh wreaths during the holidays! If you’re a horse enthusiast exploring Galena, Illinois, you won’t want to miss horse riding through this beautiful town. From seasoned equestrians to horse aficionados, the Jo Daviess County miles of groomed trails through wooden hills are sure to impress you. Jo Daviess County and Galena, Illinois are known as one of the Midwest’s top golf destinations. Golf in Galena/Jo Daviess County and enjoy the charming scenery and supreme outlooks of the area’s 10 golf courses. Our golf courses provide only the finest in par, yardage, slopes and ratings. Explore the amazing Jo Daviess County and Galena golf courses including the Eagle Ridge Resort & Spa, North Course. The North Course in Galena has prominent trees, extended landscapes, rolling hills and great heaving greens. This amazing 18-hole Galena golf course was named one of the best Midwest golf resorts by Travel & Leisure Golf Magazine. Also, Eagle Ridge Resort & Spa ranked first for its award-winning ‘The General’. Visit the three golf courses in Galena at the Eagle Ridge Resort & Spa. Take a trip to the Galena Golf Club and experience one of the finest manicured golf courses at the best price. The Galena Golf Club provides an 18-hole course, full bar, grille, pro shop and practice range! During your Jo Daviess County golf vacation in Galena, make sure to visit Woodbine Bend Championship Golf Course. This golf course in Galena/Jo Daviess County provides a challenging course for golfers of all skill levels. Experience the clubhouse dining, special events and more. Jo Daviess County is home to many great golf courses including Apple Canyon Lake Golf Course. This Illinois golf course gives you a picturesque and challenging 9-hole course. Shop at the full-service pro shop, enjoy a drink at the bar or grab a bite to eat at the grill. This amazing Jo Daviess County golf course provides everything a golfer dreams of. If you’re looking for a Jo Daviess County golf course with numerous holes, check out the Lacoma Golf Course. This great golf course near Galena/Jo Daviess County provides 45 holes of golf including an 18-hole championship golf course, two 9-hole golf courses and a par 3. This astonishing golf course includes banquet facilities, full bar and pro shop. Visit Lacoma Golf Course and see why it is the golf-outing headquarters! If you’re in the mood for a challenge, check out Storybrook Country Club. This course is known as one of the most challenging 18-hole golf courses in Galena and Jo Daviess County. Storybrook Country Club offers an incredible clubhouse, a challenging course and it is open to the public! Galena/Jo Daviess County is home to some of the finest art and entertainment in Illinois. From shopping and classes to galleries and entertainment, Jo Daviess County offers something for everyone. Discover art shops, make your own one-of-kind gifts including hand-made pottery and jewelry or browse through collections of local art. Make sure you stop in and experience some of the amazing art! Galena provides a large assortment of fine art galleries! Browse through paintings, sculptures, hand-crafted jewelry, photography, studios and watch pottery demonstrations. There is so much art and things to do, you can stop by Hello Galena! or Pinder Pottery where there is always something fun going on! From classes and events to demonstrations, there is something for your artistic style. The art galleries of Galena/Jo Daviess County also provide artwork and hand-crafted items for purchase that make for the perfect gift or accent to your home. Make sure you stop in and check out the work of some of the finest artists in Illinois. There is no shortage of entertainment and fun in Jo Daviess County. For the casino lover, Diamond Jo Casino offers more than 975 slot machines and table games. Also, check out bowling, live performances, fortune telling and more! If you’re looking for fun in Galena/Jo Daviess County, the entertainment starts here! Stop in for a pottery demonstration at the Artists’ Annex or tingle your tastebuds by cooking up creative recipes at the Galena Culinary Institute. The rich history of Galena allows a look back into the 19th century. During this time period, Abraham Lincoln and Ulysses S. Grant walked the streets, and the coal industry was booming. Here you can walk the historic main streets filled with 19th century storefronts, homes, churches, hotels, train depots, town halls and more. Named on the National Register of Historic Places, Jo Daviess County is a definite place to see! From mansion tours to a look into the Old Mine District, the historic attractions and tours of Galena/Jo Daviess County offer something for everyone’s interest. Discover the Linmar Gardens where you can take a guided tour through 3.5 acres of gardens. Discover outstanding history of Galena/Jo Daviess County with the finest historic sites and museums in Illinois. Take in amazing 19th century architecture, go back in time with historic sites, travel through attractions and enjoy guided tours. When it comes to this small town in Illinois, Galena offers an exceptional historic experience. From the Old Blacksmith Shop to the Ulysses S. Grant Home historic site, there is so much to see! Nothing is quite like shopping in Galena/Jo Daviess County. Whether you’re looking for an upscale boutique, antiques and collectibles, specialty foods, clothing or gifts, we have what you’re looking for no matter where you’re at in Galena or Jo Daviess County. 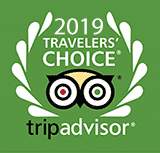 Discover why Fodor’s Travel named us at one the the “Top 10 Best Antiquing Towns in the U.S.” Shop Galena/Jo Daviess County to find the perfect one-of-a-kind gift for someone special. Antiques and collectibles stores line Galena’s historic district and are scattered throughout the county’s countryside in quaint, off-the-beaten-path shops and barns. Classic or outrageous, designer or trendy, shoppers find apparel and accessories to complement every mood at Galena/Jo Daviess County area boutiques. Local shopkeepers pride themselves on distinctive offerings and personalized service. Experience shopping in a setting far from the ordinary! Forget cookie-cutter shopping malls! Shop Galena’s historic downtown, voted “Best Main Street” by Midwest Living Magazine readers. Don’t overlook the many charming shops scattered through the nearby villages and scenic countryside of Jo Daviess County. Turn a shopping excursion into an unforgettable experience. Browse a wide selection of decorative and functional items, such as furniture, art, accessories, housewares, yard art and more, designed to enhance your “palace” both inside and out. Whether it’s pickles and wine or custom jewelry and gifts, discover Jo Daviess County at its best with these locally made products. Delight in locally-made jams, jellies, salsas, sauces, baked goods and other gourmet fare, including cheese, sausage, spices, hard-to-find ingredients and unique kitchenware. These treats are all “tastefully” displayed in historic storefronts. Visit a highly-skilled, full-service spa for a calming aromatherapy treatment or a tension-melting, hot-stone massage. Area spas offer state-of-the-art treatments designed to pamper from head to toe. Rest and relax during a getaway to Galena and Jo Daviess County. It’s an ideal way to refresh the mind, body and soul.